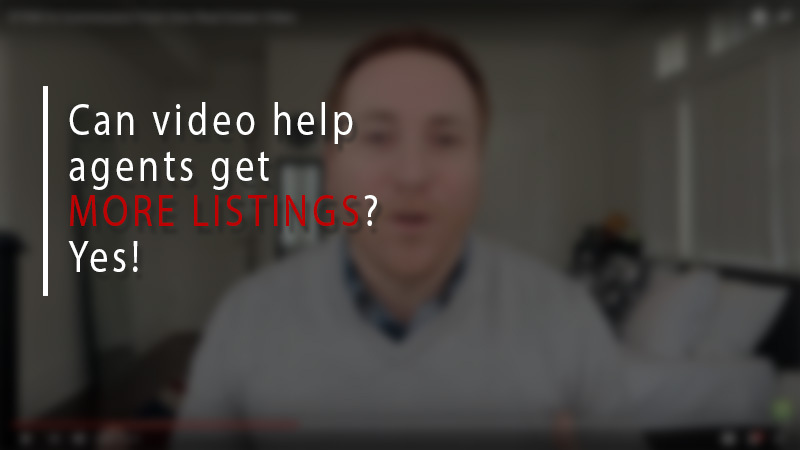 Can video help agents get more listings? Yes! Real estate agents can use video to help them get more listings! It’s true! Video is a perfect tool for real estate agents – it’s being given priority in Google searches, Facebook, Twitter and Instagram. Steven then goes on to talk about how a video he did for a $57,000 foreclosure home lead to a sale, then ongoing and future sales, and eventually netted him a total of $7500. And that he all stemmed from just one video posted to Facebook, and a Facebook friend of Steven sent the video onto another friend, and it took off from there. And it’s important to note that as well. Steven was putting up these yard signs without his details on them. Interested buyers would see the yard signs, Google the address of that home, and the videos were coming up on the first page for that address. The buyers would watch the video, then get in touch with Steven to find out more. So it’s those SEO benefits of video for real estate agents that also makes this a super amazing marketing tool. If you want to get started with a really professional video for your next listing, have a look for one of the real estate photography and marketing specialists here at BestRealEstatePhotographers.com. A lot of these photographers will also do a great video for you, so find the photographer local to you, give them a call and meet with them to chat about your video ideas.